The highly anticipated hearing — it is Yates’s first appearance on Capitol Hill since her firing in January — filled in details in the chain of events that led to the ouster of Michael Flynn, President Donald Trump’s first national security adviser, in the early weeks of the administration. 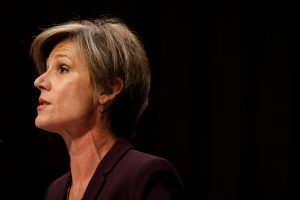 Yates, a longtime federal prosecutor and Obama administration holdover, was fired Jan. 30 by Trump after refusing to defend the administration’s travel ban. She had been scheduled to appear in March before the House intelligence committee, but that hearing was canceled.